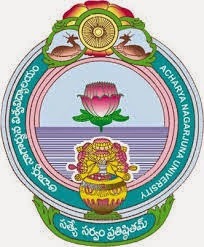 Here are the Acharya Nagarjuna University Computer Based Documentation and Account Package Important Questions for 2nd B.Com Computer students. All the important Questions are presented into two groups like shot answer question and long answer question for each unit. What is a Document? How we can create a document in MS-Word? Explain about Header and Footer in MS-Word with one example. Write short notes on editing text of a document. How to move and copy text in a document? Write about Cut,Copy, Paste options in MS-Word. Explain about formatting characters in MS-Word. Explain different views in MS-Word. How to give borders and shadings in MS-Word. What is the use of Autoformat and format painter in MS-Word.? How to insert page numbers Or Date and Time in Headers and Footers in MS-Word.? What are the feature of MS-Word.? Explain the parts in word window. Explain the features and advantages of word processor. Write about text formatting in a document in detail. What are headers and footers? Explain how to create Headers and Footers in MS-Word. How to create table in MS-Word.? Explain. How to import graphics in MS-Word? How tables are created and handled in MS-Word? How to create a table in MS-Word? How to use sorting and filtering techniques in a table. What is template? How to create a template and how to set your new document ? What is table? How to do cell and data formatting in a table? What is Wizard ? Explain about various types of wizards in MS-Word. How to create Tabs and Tables in MS-Word and explain with suitable example. What is Graphs? Explain about different types of graphs in MS-Word. How to insert graphs into word document ? And explain usage of clip of art gallery in word. How can you import graphics and explain about drawing objects? What is Mail merge and explain about it ? How to import graphics into a word document? How to draw objects using words drawing features? Explain Find and Replacement in MS-Word? Write about spelling and gamer checker ? What is Mail Merge ? Explain how to create a mail merge in MS-Word? Explain various short cut keys present in MS-Word? Explain each of them. What is Macro? Explain how to read a macro in MS-Word? Explain about the customizing Toolbars and menus in MS-Word? How can you editing and moving text in Power Point Presentation ? Explain about slide numbering with examples. How can you insert and delete slides in power point. How to print a presentation of MS-Power point. Explain about animation schema in a power point presentation. What are the steps to open the MS-Power Point? How to add multimedia to power point presentation? How to work with text in MS-Power Point? What is a graph? Explain how can we insert a graph in power point presentation? What is a slide? Explain different views of a slide? How to use graphics and multimedia in a presentation? Explain different components of MS-Power Point Window. Write about chart of accounts. What is a ledger? How to create a ledger in tally? Explain the features of Tally? What are the steps in creation of cash book? What is a voucher? Explain about Voucher Entry. Explain how to create a ledger with suitable examples. Explain all the functional keys in Tally. What are the advantages of tally? Explain in detail. Write the procedure to prepare the day book and trail balance- using vouchers. Write a steps to create Accounts master lists.